Whereas the CGIAR means the global scientific research-for-development partnership consisting of the Consortium, Centers, CGIAR Funders, Partners and other CGIAR Participants to implement the Strategy and Results Framework (“SRF”) based on the goals expressed in the CGIAR Principles and the aspirations expressed in the Joint Declaration1. 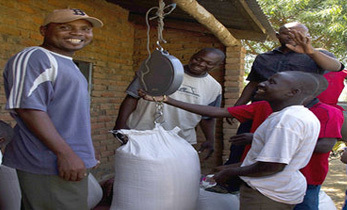 The CGIAR regards the results of its research and development activities as international public goods and is committed to their widespread diffusion and use to achieve the maximum possible access, scale, scope of impact and sharing of benefits to advantage the poor, especially farmers in developing countries. 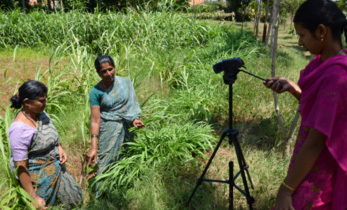 The CGIAR recognizes that partnerships (i) are critical to ensuring access to the best knowledge and innovation, harnessing efficiencies in product development, and achieving maximum impact through effective delivery and deployment, and (ii) may require incentives that must be innovatively designed, carefully managed and diligently monitored. 3.1 The CGIAR recognizes the indispensable role of farmers, indigenous communities, agricultural professionals and scientists in conserving and improving genetic resources. 3.2 The CGIAR seeks to be respectful of national and international efforts to protect and promote farmers‟ rights as envisaged by the Treaty4 and support the development of appropriate policies and procedures for their recognition and promotion. 4.1 The CGIAR supports the effective conservation and widespread use of all genetic resources for food and agriculture. 4.2 Facilitated access to Plant Genetic Resources for Food and Agriculture within the purview of the Treaty shall be provided in accordance with the Treaty and these CGIAR IA Principles. In addition, the acquisition or transfer of any other genetic resources by the Centers shall be conducted in accordance with all applicable laws including those implementing the CBD, as well as these CGIAR IA Principles. 5.1 The CGIAR is committed to the sound management of Intellectual Assets and Intellectual Property Rights (“IP Rights”)5 to further the CGIAR Vision, in accordance with all applicable laws and best practices. 5.2 The Consortium and the Centers shall manage their respective Intellectual Assets and IP Rights with integrity, fairness, equity, responsibility, and accountability, wherever they operate. 5.3 The Centers shall use their best endeavors to engage in IP Rights due diligence for the activities that they carry out, and, in particular, to secure where appropriate (e.g. through licenses or non assert covenants) the IP Rights that are necessary for the development and delivery of products/services without infringing third party IP Rights. All Intellectual Assets produced or acquired by the Consortium and/or the Centers shall be managed in ways that maximize their global accessibility and/or ensure that they lead to the broadest possible impact on target beneficiaries in furtherance of the CGIAR Vision. 6.1 Prompt Dissemination of Research Results. The Consortium and the Centers shall promptly and broadly disseminate their research results, subject to confidentiality obligations as may be associated with restrictions permitted under Articles 6.2 and 6.3 below, or subject to limited delays to seek IP Rights under Article 6.4 below. (ii) in the event of a national or regional Food Security Emergency8 for the duration of the emergency (“Emergency Exemption”). (iii) showing that the deviation does not jeopardize the furtherance of the CGIAR Vision. The Consortium shall determine whether the reasons are compelling9. The Consortium shall have 30 days from notification to approve by affirmative consent or reject such request. 6.2.3 For the avoidance of doubt, the requirements set forth in article 6.2.1 above shall apply subject to third party restrictions permitted under Article 6.3 below. 6.4.1 The CGIAR is committed to the prudent and strategic use of IP Rights. 6.4.2 The Centers shall carefully consider whether to register/ apply for (or allow third parties to register/apply for) patents and/or plant variety protection (“IP Applications”) over the Centers‟ respective Intellectual Assets. As a general principle, such IP Applications shall not be made unless they are necessary for the further improvement of such Intellectual Assets or to enhance the scale or scope of impact on target beneficiaries, in furtherance of the CGIAR Vision. 6.4.3 All IP Rights shall be exercised consistently with Articles 6.1 to 6.3 above. 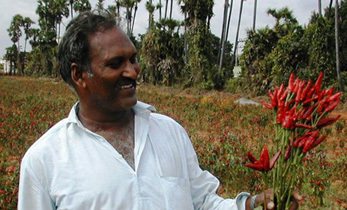 7.1 The Consortium and the Centers may charge reasonable financial fees, beyond actual costs and reasonable processing fees, in return for providing access to their respective Intellectual Assets on the condition that this possibility of charging fees does not divert them from the fulfillment of the CGIAR Vision. 7.2 For the avoidance of doubt, Article 7.1 above does not apply to Plant Genetic Resources for Food and Agriculture held in-trust by Centers and placed within the purview of the Treaty, for which facilitated access shall be provided in accordance with the Treaty11. 7.3 The Consortium and the Centers shall use any revenue generated from Intellectual Asset management in line with and to support the CGIAR Vision. The use of such revenue shall be transparently reported in the regular financial reporting by the Consortium and the Centers. 8.1 The Consortium and the Centers are expected to have the capacity required for the proper implementation of these CGIAR IA Principles. 8.2 The Consortium is expected to provide a mechanism to ensure more effective and consistent management of Intellectual Assets and IP Rights through the sharing of knowledge and leveraging of experience, the provision of training and the development of relevant tools and templates. 8.3 The CGIAR funders are expected to provide adequate resources to support such capacity, including through both budget resources for the Consortium Board and Consortium Office and full cost recovery arrangements under the CRPs and other research proposals to implement the SRF. 9.1 The Consortium and the Centers, in consultation with the Fund Council, shall determine how best to implement these CGIAR IA Principles. These CGIAR IA Principles shall be effective as of the date as of which both the Fund Council and the Consortium have approved them (“Effective Date”)12. 9.2 The Consortium and the Centers shall be responsible for the management of their respective Intellectual Assets and IP Rights in accordance with these CGIAR IA Principles. Any policies and practices adopted by them shall be consistent with these CGIAR IA Principles and shall be made public. The Consortium shall oversee Center compliance with these CGIAR IA Principles and shall ensure that all policies, guidelines and practices adopted at the Consortium and Center levels are consistent with them. 9.3 For the avoidance of doubt, these CGIAR IA Principles shall not affect, except to the extent expressly provided herein, the Consortium and the Centers‟ respective rights over their Intellectual Assets. 10.1.1 Assurance of Compliance. Each Center shall provide annually to the Consortium a written assurance by its Board of Trustees that such Center has, during the preceding year, complied with these CGIAR IA Principles and, in particular, with the provisions of Article 5 on the sound management of Intellectual Assets and the requirements laid down in Article 6. 10.1.2 Center IA Report. Each Center shall provide annually to the Consortium a report, satisfactory to the Consortium, regarding the implementation of these CGIAR IA Principles during the preceding year (“Center IA Report”). The Center IA Report shall, in particular, list and provide a general description of each Limited Exclusivity Agreement, Restricted Use Agreement and IP Application that was concluded/made during the preceding year, as well as clear and relevant information showing that the requirements laid down in Articles 5 and 6 have been met13 (“Justifications”). The information contained in the Justifications shall be subject to the confidentiality obligations to which the Center may otherwise be bound vis-à-vis third parties. Centers shall not undertake confidentiality obligations which would prevent them from providing the necessary Justifications as per this article. 10.1.3 Confidentiality. Subject to Article 10.3 below, the Consortium shall treat all information reported as per this Article as confidential. 10.2.1 FC IP Group. The Fund Council shall establish an Intellectual property Group (“FC IP Group”) with the role, membership, rights and obligations set forth in Annex 1 attached hereto. c) any reservations the Consortium may have with regard to the Justifications provided to it by Centers15. 10.2.3 Confidentiality. The FC IP Group shall treat all information reported as per this article as confidential. 10.3 Reporting from the Consortium to the Fund Council. The Consortium shall provide annually to the Fund Council a high level report16, satisfactory to the Fund Council, regarding the implementation of these CGIAR IA Principles during the preceding year (“CGIAR IA Report”). 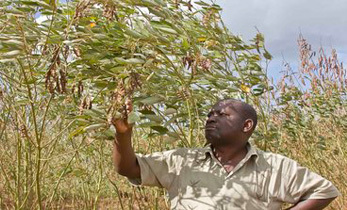 The CGIAR IA Report shall, in particular, contain general and aggregated information on the Limited Exclusivity Agreements, Restricted Use Agreements or IP Applications that were concluded/ made by the Consortium and the Centers, subject to any confidentiality obligations of the Consortium and/or the Centers 17. The CGIAR IA Report shall be developed by the Consortium after consultation with the Centers involved and the FC IP Group. 10.4 Public disclosure. The CGIAR IA Report shall be made available to the public. 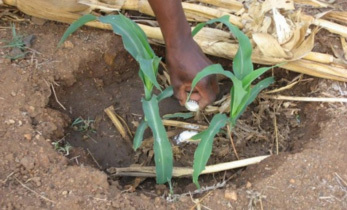 The CGIAR is committed to the dual and equally important principles of (i) recognizing the legitimate interests of the private sector and other partners to maintain and protect confidential information and (ii) observing the need for transparency and accountability with respect to the use of public sector funds and activities financed in connection therewith. 11. Audit Right. The Consortium reserves the right to audit, on an exceptional basis, any agreement that is reported as, or otherwise may be, a Limited Exclusivity Agreement or a Restricted Use Agreement and any IP Application concluded/made by a Center, solely for the purpose of verifying compliance with these CGIAR IA Principles. The Consortium shall make all audit reports available to the FC IP Group and the relevant Center. Centers shall not undertake confidentiality obligations which would prevent the Consortium from exercising this audit right. The Consortium shall treat the content of all Limited Exclusivity Agreements, Restricted Use Agreements and IP Applications as confidential. 12. Review and Amendment. These CGIAR IA Principles shall be reviewed by the Consortium, in consultation with the Centers, and the Fund Council in 2014 and every two years thereafter in light of experiences gained18. These CGIAR IA Principles may be amended any time by agreement of the Consortium, in consultation with the Centers, and the Fund Council. 1. 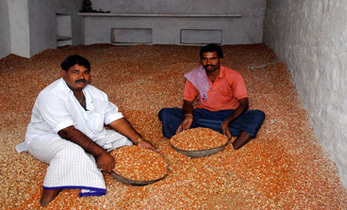 The role of the FC IP Group is to facilitate coordination between the Fund Council and the Consortium by working in cooperation with the Consortium with regard to the implementation of the CGIAR IA Principles and advising the Fund Council in order to enable the Fund Council to provide adequate oversight of Intellectual Asset management in the CGIAR while safeguarding sensitive and confidential information. 2.4 subject to Article 10.3 of the CGIAR IA Principles, the duty to treat all information received under Articles 2.1 and 2.2 of this Annex 1 as confidential, it being understood that the underlying agreements with third parties will have been concluded in a manner to make disclosure to the FC IP Group in accordance with this Annex 1 operative, and it being further understood that such information will be provided to the FC IP Group members subject to confidentiality agreements; if legal action or a serious and credible threat of legal action is made against the Consortium or a Center for an alleged breach of any confidentiality obligation with a third party relating to information received by the FC IP Group under Articles 2.1 and 2.2 of this Annex 1, the Center shall promptly notify the Consortium and/or the Consortium shall promptly notify the Fund Council. The Fund Council, Consortium and Center shall work in concert to investigate the alleged breach and cooperate among themselves, as appropriate, to address the legal action or threat of legal action. The Fund Council and Consortium acknowledge and agree that these CGIAR IA Principles, including this Annex 1, have the force of contract through their incorporation (as part of the Common Operational Framework) into agreements between the Consortium and Fund Council, including the Joint Agreement, and into any relevant downstream fund use agreements, in accordance with the relevant enforceability provisions contained in such agreements subject to reasonably negotiated remedies by the affected parties. 2.6 subject to Article 2.4 of this Annex 1, the duty to be responsive to the Fund Council with respect to any requests relating to the Consortium or the Centers in connection with the CGIAR IA Principles. 3. The FC IP Group will consist of no more than three members and one alternate, who shall be representatives of the Fund Council, which for the purposes of this Article 3 may include a representative of the ISPC, in order to receive its independent perspective, each designated by the Fund Council on a two-year basis. The FC IP Group members shall have demonstrated expertise and practical experience in the management of Intellectual Assets and IP Rights. The FC IP Group members will be selected by the Fund Council after informed discussion and consultation with the Consortium, which will have consulted the Centers, including consideration of any concerns expressed by the Consortium. FC IP Group members may serve for more than one term.